Water Pressure: The Wedding Date has an amazing shower. Because he’s a neat freak, it’s always clean and the water pressure is to die for. Seriously. I could spend hours in his shower. My Grandmother: I had breakfast with my grandmother in her new downstairs apartment yesterday and you know what? I was kind of fun. Then I decided to relieve my mother of her “morning walk” duties for the day and invited my grandmother to walk to the bank with me to deposit my paycheck. Then I took her to the Dollar Store and the supermarket to load up on cookies dough and lemonade for Parent Observation Night. I then proceeded to bake cookies. Do you have any idea how difficult it is to bake cookies in front of an 81 year woman who has Alzheimer’s? Well, let me tell you: it’s practically Herculean. 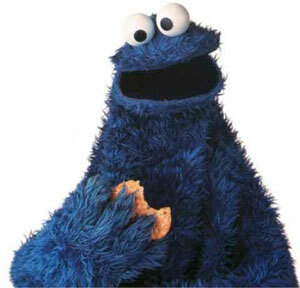 I don’t know what it is but there is something about Alzheimer’s that makes old folks obsessed with cookies. And I’m not just basing this off of my grandmother. My mom got this DVD about Alzheimer’s from the library that was supposed to teach us all coping strategies and what not but the only thing I learned was that people with Alzheimer’s love cookies. Despite the fact that my grandmother has assembled a small warehouse of baked goods, I had to tell her again and again and again that these cookies were for work and that she already had several boxes of cookies in her pantry, including the box she’d just bought twenty minutes ago. But she wouldn’t take “no” for an answer. I finally caved and gave her two but she still wouldn’t leave me alone. By time I finished, I was ready to explode. Instead, I texted my boss to check that we had everything in order for Parent Observation night and told her I’d probably be getting to the studio four or five hours early from now on, just to get out of the house. Well, despite my love of a good shower and the promise of health insurance, I know that neither of us is ready to take that step. But I’m heading straight to his place after the conclusion of my second Online Dating 101 workshop tonight and I couldn’t be more excited. I like your take on health insurance. “Don’t get sick”. Very nice. I wish my boyfriend was a neat freak. That would be nice. It is good that you two aren’t rushing into anything though–especially since he has kids. I really do think you should post more like several times a day because I’m getting bored at work and not doing much besides using the internet to access Iwastesomuchtime.com. At least the website is accurately titled. Yep. “Don’t Get Sick.” I am married, but that’s my plan (and my husband’s) too. Mitt to TWD: Put 3 rings on it. Hah! I took me a sec but now that I’ve gotten it: LOL! I don’t blame Grandma, cookies out of the oven compared to store bought in a box? Though I do have a feeling there is a “Care and Feeding of Grandma’s” manual coming soon. The first chapter will have to be about cookies. Seriously! I do get the appeal of fresh baked but she loves any an all cookies… Oreos, Graham Crackers, you name it. Roomba: I heart my Roomba. My house has 100+-year-old plumbing. Every week, we pour a bottle of extra-strength Drano down the tub drain to make the pipes work. TWD’s shower sounds positively heavenly.